One of the most important decisions you can make today with regards to making your facility more energy efficient is choosing to keep your existing lighting fixtures or to upgrade them to LED lighting. You may look at the initial cost of installing energy-efficient lighting in your offices or facilities and get nervous about the size of the investment. However, you may not be taking into account the various advantages of converting to LED. LED Vs. CFL: Which Is More Energy Efficient? For a long time, facility managers had only one choice when it came to lighting. By and large, standard incandescent ruled the market. Today, though, the situation is very different. The traditional light bulb has been phased out of most applications, and the rise of energy-efficient alternatives has provided better options to Facilities Managers, Project Managers, and Maintenance Managers alike. The two most prominent are compact fluorescent (CFL) and light-emitting diodes (LED). They are both guaranteed to offer significant savings on your utility bill. From residential homes to strip malls, this is the time of year for festive outdoor lighting, and the chances are good that the lighting you’re seeing is LED lighting. 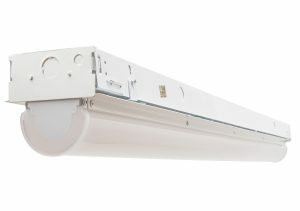 The trend toward choosing energy-efficient LED lighting was substantiated by a recent Thomas Index Report article. LED lighting offers users significant energy savings, but for facility managers of older buildings making the switch to LED lighting often comes down to ROI. What Color Temperature is Right for My Restaurant? For restaurateurs, there is no detail too small which is why lighting is such an important part of any restaurant. From the light fixture to the color temperature, lighting sets the mood and creates an atmosphere. Here’s what you need to know about lighting color temperature to choose the right light for your space. Buildings that invest in sustainable materials and green practices can not only enhance the physical, mental, and social well-being of their tenants and occupants, but can enjoy lower operating costs such as reduced utility bills and lower total lifecycle expenses, according to a recent report by the World Green Building Council. A common tip businesses receive about improving their sustainability is to choose energy-efficient lighting options. Today, companies can keep traditional incandescent fixtures or convert to CFL or LED. For those that select the first two options, they sacrifice efficiency for a lower purchase price. 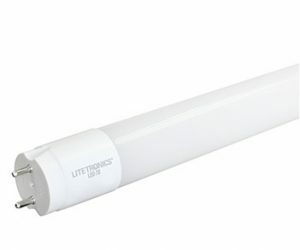 For professional lighting users, our expanded line of TLEDs offer a cost-effective, safe, and long-lived plug and play LED alternative to fluorescent lighting. Subscribe to Liteline today & stay up to date with industry news and information. © 2018 Litetronics International, Inc.